I’ve only read one other James Morrow book (Towing Jehovah) and I’m not sure why that is. Morrow is a fantastic writer and, based on the now two books that I’ve read, he is incredibly original, funny, and dark. This book takes on Christianity, skewers it, and flips it on its side. In this story, Murray Katz, the keeper of an abandoned lighthouse (our first hint of the symbolism that is rife in the book) near Atlantic City, sells his sperm regularly for extra income. But something is wrong with his latest batch. It seems that there is an ovum in with his sperm, which is now fertilized and beginning to grow. The Jewish Katz is about to give birth to a divine child. A child begotten of God. And so begins our story of Julie Katz, the Only Begotten Daughter, half-sister to Jesus on God’s side. Able to perform miracles but resisting it because of the fear of persecution, Julie both appreciates her divinity and doesn’t understand her purpose. The humor here can be dark and then outrageously funny (though perhaps those who are strongly Christian Right Wing party members won’t find any humor here). And Morrow isn’t making and attempts to hide the Christian story parallels here. In fact, the more you know, the more you’ll pick up on in this book. …he began transforming his immediate environment, making it characteristic of heaven. The whole glorious span of Dewey’s decimal system soon filled the lighthouse, book after book spiraling up the tower walls like threads of DNA, delivering intellectual matter to Murray’s mammalian cortex and wondrous smells to the reptilian regions below—the gluey tang of a library discard, the crisp plebeian aroma of a yard-sale paperback, the pungent mustiness of a thrift-store encyclopedia. For all of this, the book gets a high rating. But one thing keeps it from getting a full five stars from me…. Just as I felt when I read Towing Jehovah, I couldn’t help shake the feeling, about two-thirds of the way through, that Morrow himself was growing bored with the characters and the story but couldn’t find the right way to get them back on track and to the end. The characters and the story are set up. The story begins. But then the story gets lost on the way. The story ends. If it’s a case of me growing bored (and not Morrow) that’s nearly as bad. It means the story didn’t hold my attention for a bit. But I like this enough that I want to re-read it. Perhaps see where it was that I lost interest. Perhaps you should read it and let me know what you think. Looking for a good book? 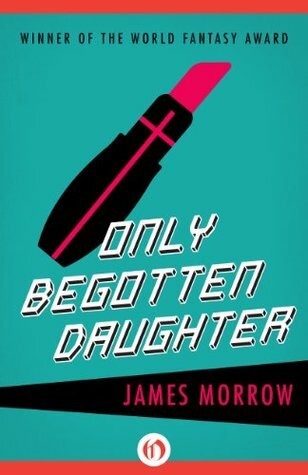 Only Begotten Daughter by James Morrow is a skewering, satire on Christianity that shares a lot of (uncomfortable) truths about faith. This is actually not so much a graphic novel as it is the first issue of a comic book (which will most likely ultimately be published as a graphic novel). My ARC of this was twenty-four pages, though Goodreads lists this at 40 pages. Sixteen pages of bonus material? Perhaps. Because it’s just the beginning of a longer story there isn’t much to tell here. We open the story by showing how ruthless and violent a race the Klingons are as they obliterate another race. Then we are introduced to our Enterprise crew (as imagined by the 2009 reboot movie) and they head to a planet where there is a faint Federation distress signal. An away team beams down, but doesn’t find anything and investigates by heading in some tunnels that cut off their communications with the ship. And of course we are reintroduced to the Klingons as both the away team and the Enterprise are attacked. And that’s about all we have time for in 24 pages! It’s hard to comment on the story since all we have is the set-up. I look forward to reading more. This is a nice book, but it is just that … one book in a series. I personally prefer to wait for the entire series to be put together in a graphic novel format. Looking for a good book? 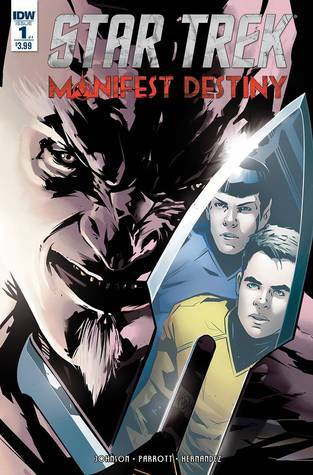 This single issue of the comic book Start Trek: Manifest Destiny promises to be an entertaining tale, but it will take a few months of reading to really get the gist of the story. I received a digital copy of this book from the publisher, through Netgally, in exchange for an honest review. I recently went to review my backlog of ARC titles – it may seem ambitious (especially when you realize I have over 400 books in my queue), but I really want to try to read and review every review copy I’ve ever gotten. So I was looking through my list and came across The 100 by Kass Morgan. It so happens that I’ve been watching the TV series, on-line, that was based on this book, so it seemed like this might be a good time to catch up on this particular reading. The story: At some point in the future, a nuclear war devastated the Earth and the surviving humanity moved to spaceships in orbit in order to avoid the radiation fallout. But life in orbit for generations is taking its toll on humanity. There is a great deal of restlessness, as evidenced by the large number of teenagers imprisoned for a variety of crimes aboard the ships. The teens – one hundred of them – are about to be sent down to the planet as guinea pigs to see if it might be safe to send other people, currently living on the space crafts. Unknown to all but those in command, the spaceships are showing signs of wear and will soon run out of the necessary oxygen to keep the population alive. They must test the conditions of the planet, and the criminal teens are the best, most expendable option. Getting to the planet is the easiest action that the 100 teens will face. Surviving on a planet none of them have ever seen will greatly test their tenacity and determination. This is a YA book, targeted toward those moody teens who see life as ‘them against the world’ and when you have as the focus of the book 100 teenagers who have been branded as criminal and sent as test subjects to a dangerous world … how much more ‘against the world’ can you get? There are hints of the classic YA characters (full of pathos and angst), but it’s not over-done. Because the story is told from multiple viewpoints, we don’t spend too much time with any one character type. It is nice to see the situation from multiple points of view. However, our central characters all seem to be pretty much stock characters – not offering too much in the way of originality. And this is always difficult for me to comment on. The characters are stereotypical – characters that we see time and time again in similar fiction. But people such as myself tend to read a lot, which is why we recognize this. But the target audience are not likely to be so familiar with these common characteristics – this may be their introduction to these characters, in which case it works just fine. It’s impossible for me to separate this book from the television show, which I have been watching. There are aspects of the book that I really like, but on the whole, I found myself thinking “I like the way they do that on the show much better” fairly often. Not a bad read, but the television show is better. Looking for a good book? 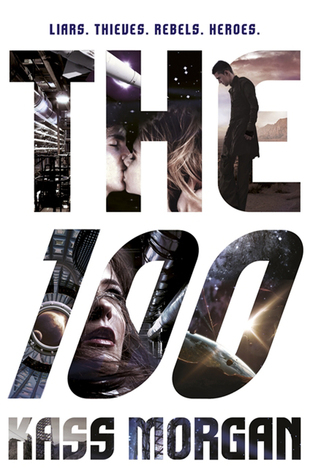 As the inspiration for the television series, Kass Morgan’s The 100, is a good YA read, but those who read a lot will find the people in this book to be stock YA dystopian-future characters. “The Walking Dead” is a surprising television hit. It is water-cooler discussion fodder, and, like so many pop culture hits of this era (it seems), it is based on a comic book series by Robert Kirkman. And what happens to ‘hits’? People analyze them and write about them. This book is a collection of essays about “The Walking Dead” – both the comic series and the television series. I’ve never read the comics/graphic novels, and I’ve only watched through the first three seasons of the television series, but the essays here often had me thinking about the series (and the concept) in a much deeper way. Which, when you stop to think about it, is kind of crazy since we’re talking about a tv show featuring zombies. But as these essays point out, there’s an awful lot of metaphor and symbolism going on within these stories. I enjoy non-fiction, and I really enjoy essays on specific topics, and in line with this, I enjoyed these commentaries on this very pop-culture theme. And while some of these did have me thinking twice about the series, and even had me wanting to finish watching the entire run, and all the essays are very intelligently written, nothing caught me so deeply that I feel the desire to share it with everyone I know. My favorite essay is probably the first one, “The Pathos of The Walking Dead” by Kyle William Bishop, which examines the genre and its history. I also very much like Jonathan Maberry’s “Take Me to Your Leader” which looks at the genre of apocalyptic literature and where The Walking Dead fits into that genre, and the role of ‘leader’ through such an apocalypse. “Despite the fact that the Walking Dead comic book is one of the bleakest, most downbeat and nihilistic stories ever told, even in a genre known for those qualities, Kirkman manages to sew a thread of hope through the tale” writes Maberry. Fans of the series (whether comic or television) who also enjoy more than just the action/adventure of the hour-long tale should really enjoy this. Those who study pop culture will find this indispensable. What does it say about our culture when stories about the dead rising up and wreaking havoc, bringing about an apocalypse, are some of the most popular stories of the day? A book such as this helps us answer that very question. Looking for a good book? 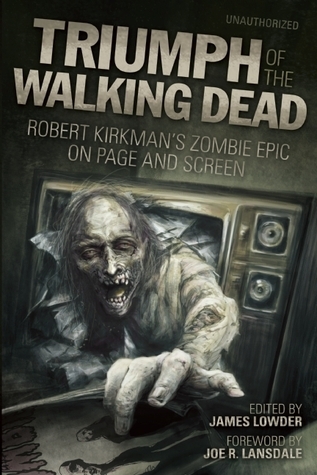 Triumph of The Walking Dead: Robert Kirkman’s Zombie Epic on Page and Screen, edited by James Lowder, is a collection of essays looking at an unusual hit television (and comic book ) series which fans of the series will absolutely want to devour. It is the late 1970’s and John Lennon has left New York to seek refuge and solace in an island that he purchased off the coast of Ireland. But getting to the island is an adventure when he relies on the local shape-changing guide to get there. This is not a light, easy-to-read book. It is surreal. Think of The Beatles’ Magical Mystery Tour film and how it makes a sort of off-beat sense if you want it to, but it mostly seems like a series of strange encounters, with music. Take the music and three of the Beatles out, and we’re left with Beatlebone. This is a stream-of-conscience writing, but as if it were coming from the often high Lennon. It’s a real trip and the reader needs to be prepared for it. About two-thirds of the way through the book, the narrative changes VERY suddenly and instead of the story of John Lennon looking to get away from the drudgery of his life as a famous musician who hasn’t produced any notable works in years, we suddenly get a ‘prologue’ or ‘epilogue’ (I suppose it would be called a ‘mesologue’) of author Kevin Barry telling the reader about the research he did for this book. This section is really quite interesting. And just as suddenly as the mesologue appeared, it is gone and we’re back with Lennon in is surreal life. The only reason that this works, this surreal storytelling, as well as it does is because it does feel as though it might come straight from Lennon’s own thoughts. But just as the reader starts to feel comfortable with it, we’re interrupted by the author. I’m not quite sure why we need to be taken out of the story when we were. The dialog (when you can tell that it’s dialog), does sound like John Lennon – or the John Lennon that we feel we know from his public appearances. I’ve noted before that literary works that play with form tend to win awards, as this one has done. I’m glad to have read this, but it won’t stick with me and it’s not something I would recommend to the average reader. Looking for a good book? 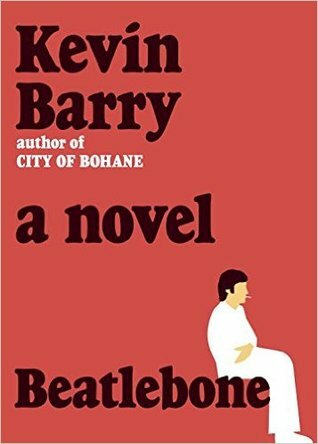 Beatlebone by Kevin Barry is a surreal adventure as seen through the eyes of John Lennon. Sometimes, after a catastrophic event, especially a very personal one, the victim needs to find a release – a cathartic means of expression. Paul Dini is looking for his relief through a medium that he is very familiar with. The graphic novel. Paul Dini’s name is likely familiar to comic book and animation nerds as Dini was a writer for the Batman: The Animated Series, Tiny Toon Adventures, Star Wars: Ewoks, and many others. But the event that Dini writes about here is something that is maybe not so familiar to the geek/nerd fans. The book starts off with Dini telling a story that is maybe all-too familiar to the readers of a graphic novel. It is the story of growing up as a nerd. The loneliness and the feeling of being an outcast and living in a vivid fantasy world. It is a world where comic book heroes are as real to the reader as the reader needs them to be. The moment that Dini needs a superhero to come to his rescue (or to become a superhero himself), and no hero (super or otherwise) appears, his fantasy world view shatters and his life is changed dramatically in a variety of ways. Leading the life of a loner Dini opens up and shares the recognition of living the life of fantasy. He tells how what he would treat as a dinner date with a beautiful starlet was more likely her trying to use his connections to get work, and even knowing this, he’d refer to her as his ‘girlfriend’ to impress co-workers. But after leaving his ‘date’ he is jumped, mugged, and beaten to within an inch of his life. Not only is there no superhero to protect him, there aren’t even any good Samaritans to call for assistance when he’s left to die. He gets himself to his home (not a hospital) where he tries to put it behind him. But the effects of the attack have only just begun and the loner withdraws even more, finding it hard to write about superheroic acts or things to find funny. One gets the impression, reading this, that Dini is still struggling with this. If not, why this graphic novel? But that’s okay. This can be as cathartic for the reader as it is for Dini because we recognize that what happened to him can much too easily happen to any of us. In fact, the way Dini tells this story, we can’t help but find that Dini is an ‘Everyman’ here, making this story and what happened very very powerful. And perhaps what’s most interesting is the role Batman plays here. He may not appear in the flesh to protect Dini, but he makes his presence known. This is a unique biography and hopefully very cathartic for Dini, who survived (physically) a horrendous event. Looking for a good book? Dark Night: A True Batman Story is an autobiographical graphic novel that follows Paul Dini, from growing up in a fantasy, nerd world, to a mugging that nearly cost him his life, and the subsequent emotional struggle. It is worth reading. Jake Hamon was known as “The Oil King of Oklahoma” and like a lot of very wealthy men, even today, got very involved with politics. Hamon supported Warren Harding for the presidency and in turn, Hamon hoped for a cabinet post. But Hamon, also like a lot of wealthy men, even today, also dabbled with affairs of the heart. Despite being married, Hamon traveled with his mistress, Clara (who was legally named Hamon in order to travel without suspicion. But Mrs. Harding was a morally straight woman and insisted that Hamon dump his mistress and be seen with his wife if he wanted access to the White House. And while Hamon’s ambition didn’t even have him waver, Clara didn’t take too kindly to being tossed aside and took matters into her own hands (by way of a pistol). Clara goes on the run and ultimately faces a trial and then even makes movies, hoping to capture an audience based on her infamy. This book is “historical fiction” meaning that it’s all based on fact but the day-to-day detail and the dialog is made up (though with the intentions of capturing what the characters might realistically have said). Historical fiction is fun to play with if you’re an author, because you don’t really have to be true – you just have to root it in fact. Author David R. Stokes has picked a great story – it has all the ingredients of a romantic/mystery/thriller. And indeed it is pretty much a pot-boiler. Jake felt bad. He knew he was lying to her. But he kept telling himself that there was no reason for drastic action with Clara unless and until the senator from Ohio was, in fact, elected. For now, he just planned to play it safe, even if that meant stringing poor Clara along. And other than telling the grand biography(ies) as fiction, there isn’t a very solid through-line. Is this Clara’s story? Jake’s? They’re both in the title, but without a storyteller’s focus, we’re left with a fictionalized historical account when it could be so very much more and could be tremendously exciting. Thumbs up for bringing the story to us, but thumbs down for lack of stronger storytelling. Looking for a good book? 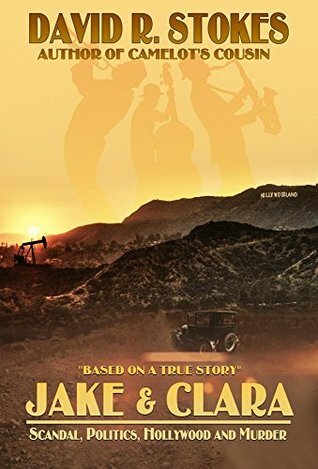 Jake & Clara: Scandal, Politics, Hollywood and Murder by David R. Stokes could be a really exciting knock-out read, based on a true account of some once-famous people, but the writing doesn’t quite grab the reader the way it should.